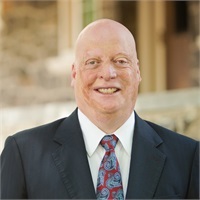 Brian cofounded Walsh & Nicholson Financial Group in 1991 and has 29 years of experience advising individuals and businesses in the areas of Wealth Management, Estate Planning, Retirement Planning, and Insurance Services. In addition to holding FINRA Series 7, 6, 63, 24, and 65 securities registrations and insurance licenses for Life, Health, Disability, and Fixed Annuities, Brian is also a Chartered Life Underwriter (CLU), Chartered Financial Consultant (ChFC), and Registered Financial Consultant (RFC). Brian is deeply engaged in both professional and charitable organizations. He is a Top of the Table member of the Million Dollar Round Table (MDRT), the premier membership organization for financial services professionals, and he serves as a trustee on the MDRT Foundation Board. In 2005, Brian addressed more than 9,000 people at the MDRT Annual Meeting, sharing his experiences dealing with a devastating personal tragedy and moving on with a zest for life and passion for giving back to his community. Brian chairs the Service and Technology Committee for Ameritas Investment Corp, and previously served as chairman of the Field Advisory Cabinet of Union Central Life. He is a past president of NAIFA Greater Philadelphia and was inducted into its Hall of Fame in 2006. He also received NAIFA/GP’s prestigious President’s Cup. Two areas of service are particularly important to Brian: finding a cure for juvenile diabetes and supporting firefighters. He was President of the Eastern Pennsylvania Chapter of the Juvenile Diabetes Research Foundation and currently serves as the Nominating Committee chair. He is also a life member of Levittown (PA) Fire Company #2 and a trustee for the Lower Merion Fireman’s Relief Association. Brian resides in Haverford, Pennsylvania, with his wife, Mary Ann. They have three children: Brian, Matthew, and Kathryn.